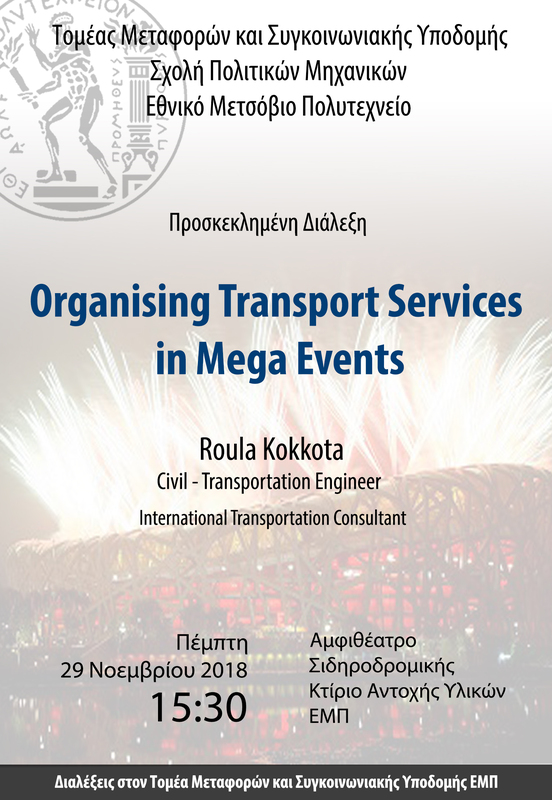 ABSTRACT: Transport is one of the top challenges in the organization of Mega Events. Delivering Transport services for a mega event is a unique, costly, politically sensitive and complex endeavor that requires substantial specialized resources and adequate time for planning and preparation. Therefore, it is required to set-up an organizational structure based on existing capability supported by external professional experience, which will secure thorough planning and efficient implementation, while out of the box thinking and innovative customized solutions are the key success factors. This presentation outlines the critical topics to address, in order to deliver Transport Services for a mega event. It focuses on actual cases (i.e. Athens 2004, Baku 2015) to show how the Transport System is organized in order to accommodate the high demand that is expected during a mega event without interrupting the daily routine of the city, using the Public Transport System as the backbone of the Games transport network for spectators and workforce. Finally, the presentation outlines the risks and challenges associated with operation during the Games and provides recommendations and conclusions mainly related to the legacy component.